The garnet is the birthstone for January. 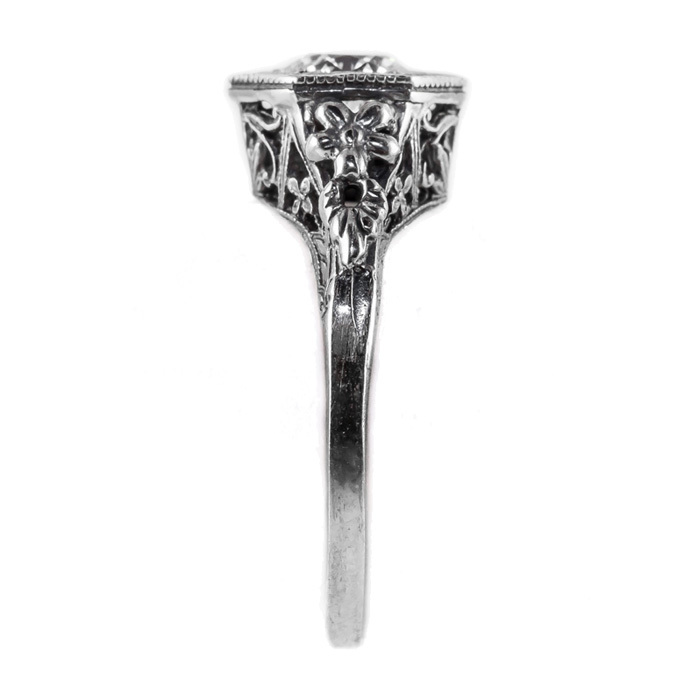 It signifies eternal friendship and trust. What a unique gift to give to a friend. This vintage inspired piece of gorgeous women's jewelry is brought to you by the masters of fine jewelry at Apples of Gold. 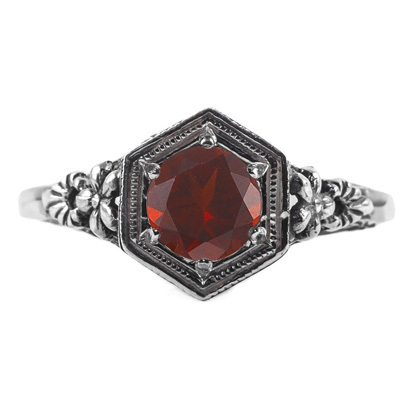 A dazzling vintage design consisting of a sterling silver women's ring topped with a brilliant and bittersweet garnet jewel. An affordable piece of designer jewelry, the colorful garnet ring measures 5.5mm. Please reference our ring sizing chart and buy one today for a January birthday. 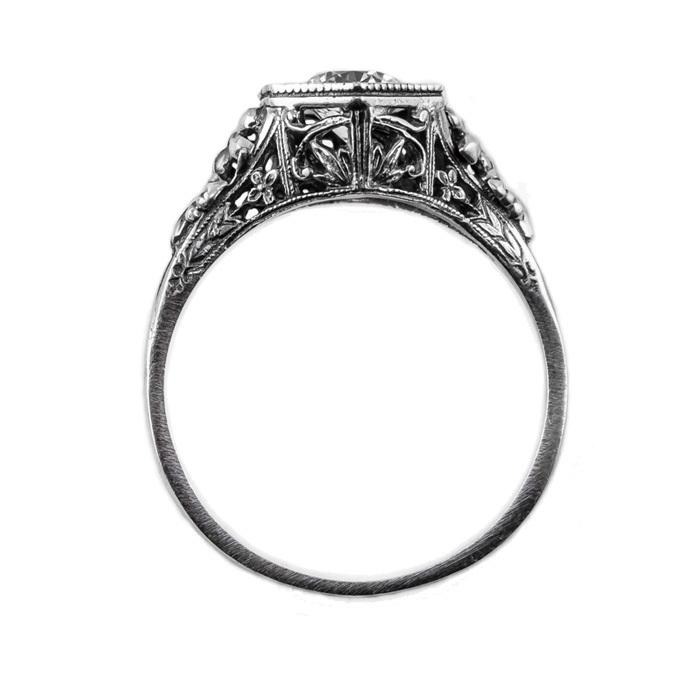 We guarantee our Vintage Floral Design Garnet Ring in Sterling Silver to be high quality, authentic jewelry, as described above.